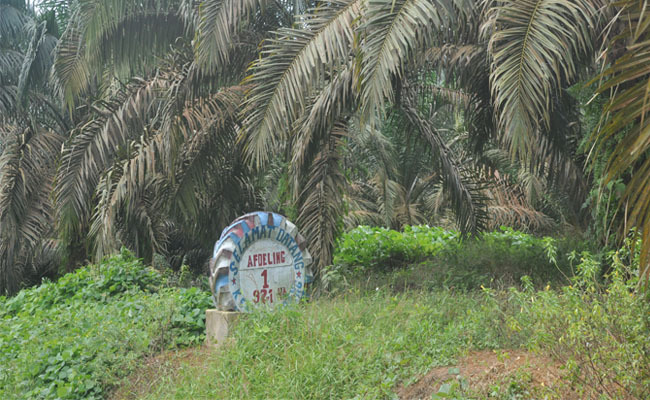 InfoSAWIT, JAKARTA – The policy of Asian Agri not to multiply palm oil plantations was reflected by its effort to equate the plasma and partnership’s areas and the main ones. Before 2018, the main palm oil plantations of Asian Agri could be about 100 thousand hectares (ha) within the plasma and partnership’s areas reaching about 60 thousand ha. It means that there were lack of 40 thousand areas of plasma and partnership’s to realize “One to One” policy or the main areas and the plasma or partnership areas could be equal. Director of Sustainability and Stakeholder Relations, Asian Agri, Bernard A Riedo said that Asian Agri ended 2018 by fulfilling the ‘One to One’ policy. It means that the main plasma reached about 100 thousand hectares and the plasma or partnership ones were about 100 thousand hectares. “By December 2018, there were additional areas about 41 thousand hectares or over the targets,” he said when doing gathering with some journalists in Jakarta where InfoSAWIT did attend on Thursday (31/1/2019). Bernard also said, besides realizing the ‘One to One’ policy, the company has also implemented the sustainable practices by running the traceability policy about the palm oil fresh fruit bunch (FFB) deriving from the third sides. “We must clearly ensure where the FFB derives from. It should not derive from the forest region,” he said. To ensure it, his side always monitors the FFB acceptance and should be from the smallholders developed by Asian Agri, then noted where the locations of the plantations, the owners, and the plantation status. “If they (smallholders) send the FFB different from the usual numbers, it is assumed that there would be additional FFB from other plantations. If this happens, we stop and check where it derived from before we send it to the factory,” he explained.